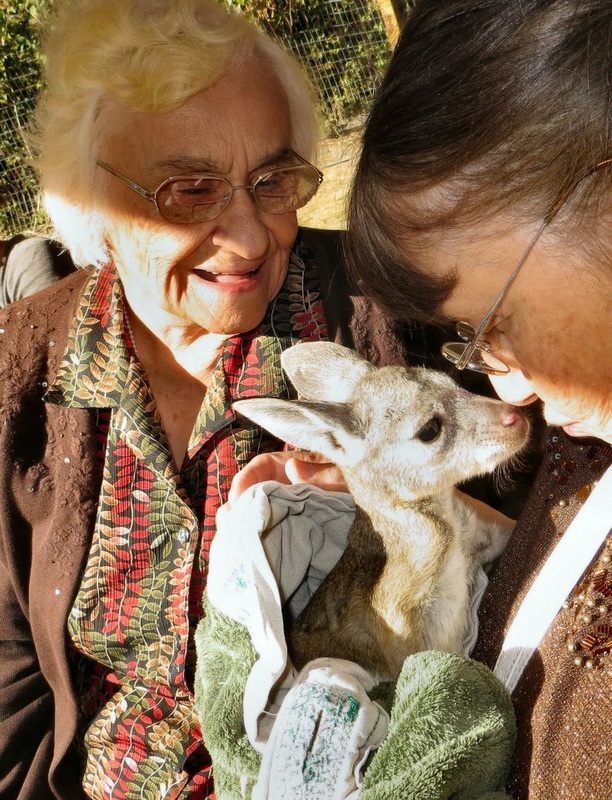 If you can’t afford to take a trip to the Land Down Under to pet a baby kangaroo now you can drive to Winfield just outside of Kelowna to get some kangaroo lovin’. 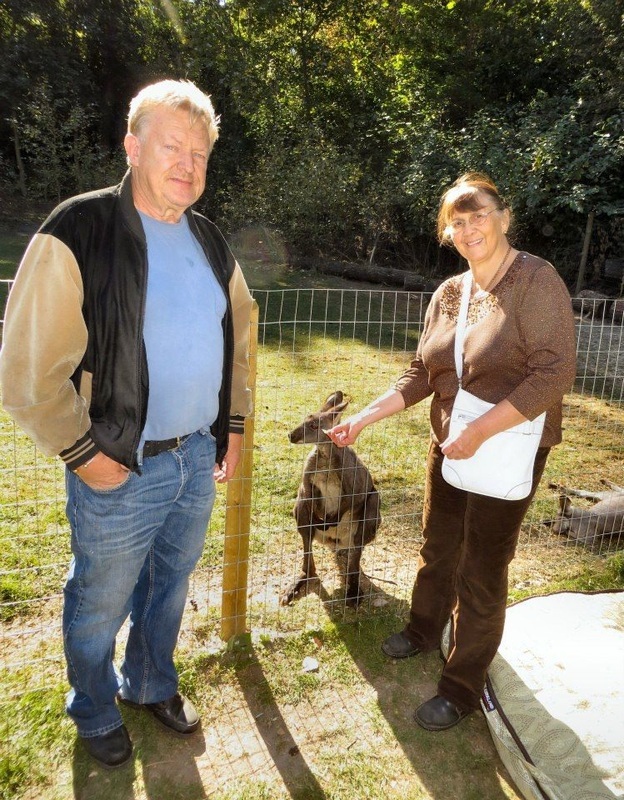 When you get to Kangaroo Creek Farm, you will most likely be greeted by owner and kangaroo breeder Caroline Wightman but don’t let her accent fool you, it a British accent not an Australian one. In fact, you will be surprised to learn that she has never visited the land from where the kangaroos originates and neither have the kangaroos; they are mostly descendents from a group of ten kangaroos Caroline had rescued from New Zealand. Over 20 years ago, New Zealand started a program to eradicate non-native species. For years New Zealanders had been importing different species of animals from all over the world and they discovered that some of the species were having an effect on the native fauna and flora so they decided to get rid of them. Most of the kangaroos and wallabies on the island were either shot or poisoned during that period of time but a few of them were deported to countries willing to accept them. Caroline and a friend of hers were able to bring ten of those kangaroos to Canada with the cooperation of Agriculture Canada and this started Caroline’s passion for Kangaroos. 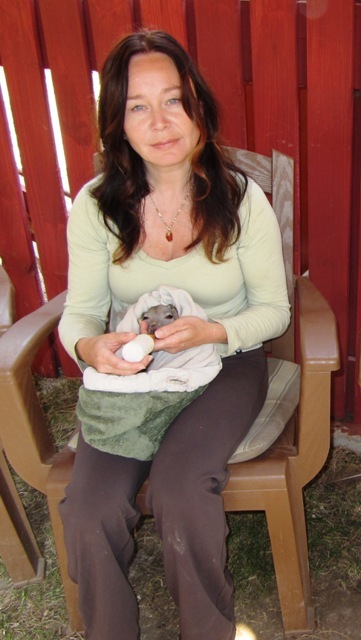 While they have been breeding the animals to sell to zoos and game farms for a number of years, Caroline and her husband have only recently opened up their farm to the public. 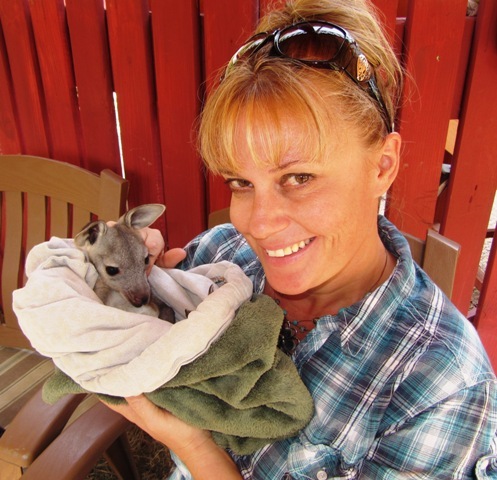 This year they welcomed three new joeys (baby kangaroos) all of which will grow up on the farm for everyone to enjoy. 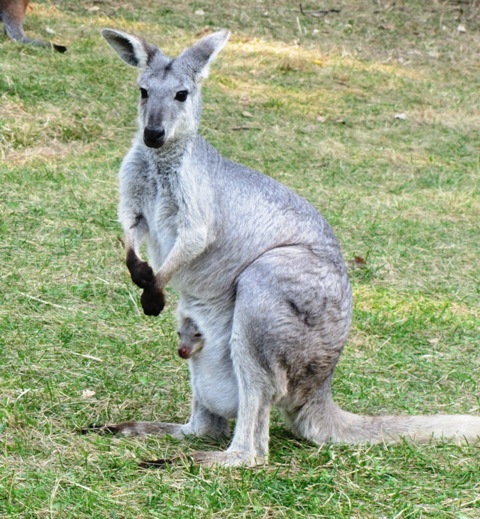 Admission is by donation and visitors are able to pet and feed the kangaroos, hold a joey kangaroo or a baby albino wallaby and also interact with an assortment of other animals such as parrots, pot bellied pigs, emus and goats. HOW TO GET THERE - Kangaroo Creek Farm is at the junction of Hill Rd and Main Street, behind the A&W in Lake Country BC. The adress is 3193 Hill Road. If you are travelling North on Highway 97 from Kelowna towards Vernon, the simplest way to get here is to turn right onto Hill Rd. You will see the A&W restaurant on the corner of Hill Rd and Hwy 97. Proceed down Hill until you get to Main Street. Directly on the other side of Main Street is the top of our driveway. It looks like a pull-out but our driveway does slope steeply off the back of it. You won't be able to see a house from Main Street. We are well below the level of the road. For more information visit their website at www.kangaroocreekfarm.com or call them at 250-766-4823.